No matter what industry you’re in, any sector that deals with customers will have to keep track of their sales…. No matter what industry you’re in, any sector that deals with customers will have to keep track of their sales. When you need a quick way to monitor your company’s success in meeting objectives, sales provide one of the easiest metrics as it is a direct display of efficiency related to profits. Even so, raw sales data can be overwhelming and may not always paint the clearest picture. Using average sales across different periods can give you a better idea of how well your sales strategies and marketing campaigns are performing, what tactics are connecting with consumers, and how successful your sales team is at converting leads. More importantly, it gives you a straightforward way to establish a standard for measuring success and failure. Calculating average sales is an uncomplicated process and can help steer your business decisions for greater success. More than just an eagle’s eye view of your sales operations, average sales can also give you a granular view at the results of every sale. Measuring average sales by customer can deliver useful insights such as how many dollars customers are spending at the point of sale, and how it compares to historical data. On a broader level, you can compare the efficiency of different teams, stores, and branches by measuring their monthly and daily sales against historic averages and each other. This is important when choosing how to allocate budgets, deciding where to trim resources, and providing greater support. By understanding the historic patterns and combining it with more real-time data, you can make smarter decisions regarding your sales pipeline. Average sales per month, in this case, would be roughly $83,000. Daily average sales are also a common calculation, and they can vary based on the broader timeframe being measured. For example, you could measure daily average sales over a period of a single month to compare year-over-year data or calculate daily average sales over a full year to see how stores and sales teams performed throughout a 12-month period. In this case, the calculation would not change, except for replacing the top number for annual total sales, and dividing by the total number of work days. 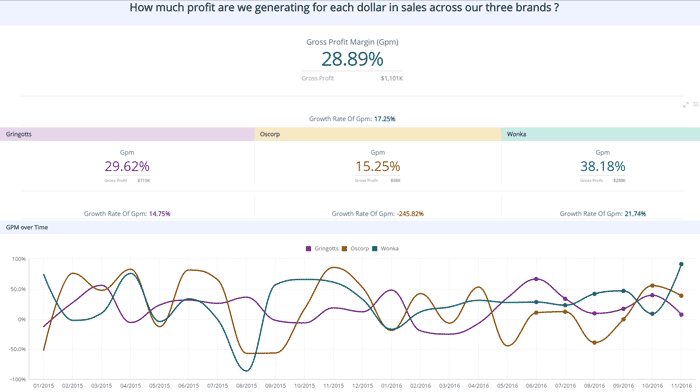 Average sales are a great place to start tracking your sales effort, but to gain more actionable insights, your dashboard should also include other KPIs that can provide useful context. These are just a few of the useful sales dashboard examples of KPIs you can include when building your BI platform. Average Revenue Per Unit (ARPU) – This metric is like average sale value but measures how much revenue a single customer or user will generate. This number is found by measuring revenue against the total number of units. Sales per Rep – Average sales don’t give you a look into how individual salespeople may be performing. Adding sales per rep will provide a more granular look at your sales operations. Opex to Sales – Raw sales data provides insight, but little context. Understanding how operating expenses relate to sales helps clarify the real value of a sale. If the Opex is too high, even large sales offer little real value. Looking for other ways to measure your sales numbers? Explore our interactive sales dashboards!